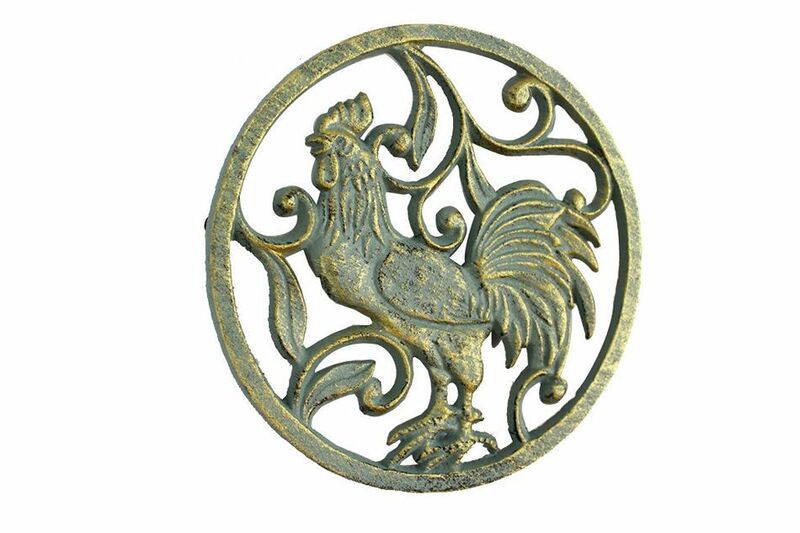 This Antique Seaworn Bronze Cast Iron Rooster Trivet 8" is a fun rooster trivet that brings the country directly to any kitchen setting. 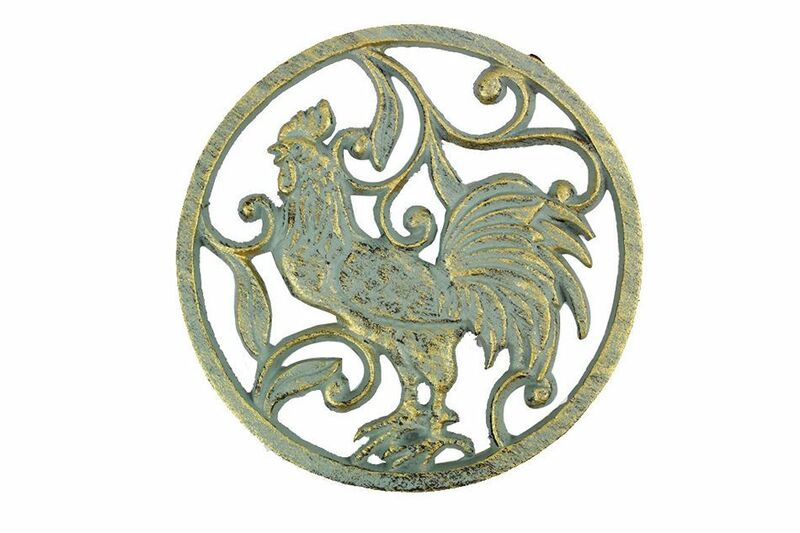 Handcrafted by our master artisans, this trivet is the ideal piece for country enthusiasts. Available in different styles, let the country come to you.